Looking for an excuse to book the trip of a lifetime? From dazzling destinations to fabulous food, and true romance to family fun, here are our top ten reasons to set sail in 2017. Few holidays give you the chance to visit several grand classical cities and monuments on one trip. On an ocean or river cruise, especially in Europe, you could find yourself admiring glorious artworks, exquisite architecture and thought-provoking archaeological sites almost every day. For the ancient stuff, take a look at itineraries that concentrate on Greece and Turkey. For art, you can’t beat Italy, which, along with Spain and Croatia, is also crammed with historic buildings. A journey along the Rhine, Main or Danube rivers will reveal much medieval splendour, from cute villages to noble castles and palaces. Top tip: Make friends with any on-board lecturers for additional insights outside of their planned talks. VOYAGES OF DISCOVERY (01858 898 485; voyagesofdiscovery.co.uk) has a 14-night Greek & Turkish Icons cruise from £1,999pp including flights. Departs September 11, 2017. 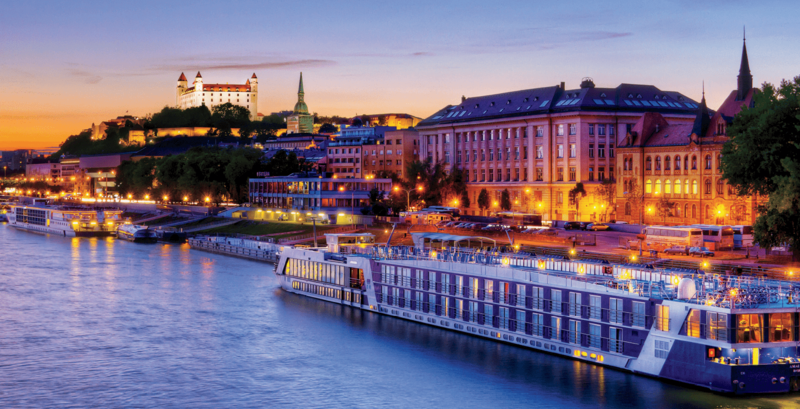 APT (0800 012 6683; aptouring.co.uk) has a 15-day Magnificent Europe river cruise from £3,345pp including flights. Departures April to November 2017. Food plays such a big part in a cruise that some guests will happily ignore a solar eclipse rather than miss dinner. Larger ships have multiple restaurants, many with menus devised by celebrity chefs, though some will be more famous in the USA than in the UK. Other venues concentrate on regional cuisines – Italian especially, but also French and Asian. Look out for innovations such as herbs grown on board. Selected shore excursions may have a gourmet theme, such as wine tastings, or a visit to a cheesemaker or a market with one of your ship’s chefs. 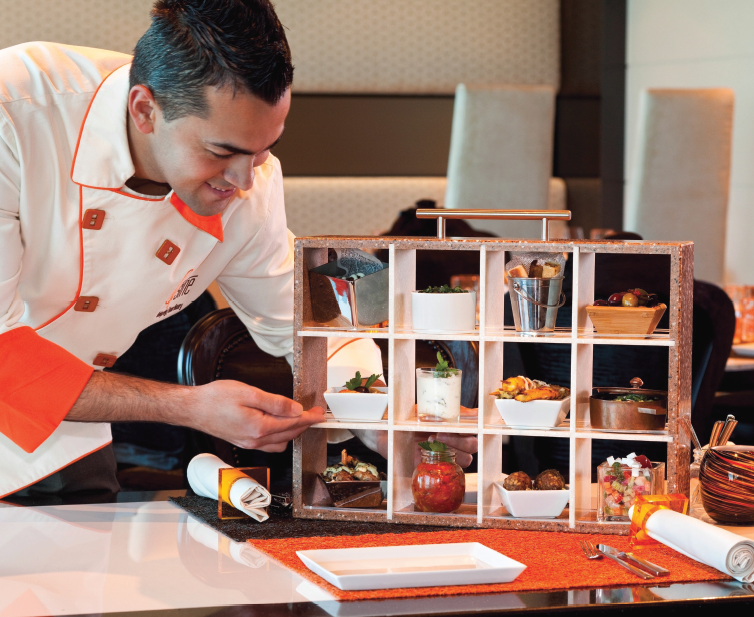 With so much competition, the “standard” restaurants on ships offer plenty of quality and quantity. Top tip: Most cruise lines charge extra for their speciality restaurants, so watch your bill. CELEBRITY (0844 493 2043; celebritycruises.co.uk) has the QSine restaurant on six of its ships, with playful dishes ordered on an iPad (supplement $45/£35). VIKING (0800 298 9700; vikingcruises.co.uk) invites guests to the top-notch Chef’s Table and Manfredi’s Italian restaurants on its ocean ships at no extra cost. Cruises with special themes are becoming more popular each year, and there’s something to appeal to everyone. Wine buffs are catered for by tasting visits to vineyards, often in the company of an on-board guest expert. Art and architecture is another passion that is covered by several companies. Gastronomy, dancing, bridge, music and even golf are other themes. More river cruise lines are now adding guided cycling and hiking trips, while other itineraries take along a geologist or wildlife expert. On larger ships without a set theme, look out for classes such as painting or craftwork. Top tip: Take along a favourite item from home – wine glass, paintbrushes, binoculars, dancing shoes. AMA WATERWAYS (0800 320 2336; amawaterways.co.uk) has a seven-night Taste of Bordeaux wine cruise from £1,933pp cruise-only. Eight departures from March to November 2017. VOYAGES TO ANTIQUITY (01865 302 550; voyagestoantiquity.com) has a glaciologist on its 15-day Iceland, Faroes & Shetlands cruise from Tilbury on June 29, 2017. Prices from £2,495pp. On today’s larger vessels you will feel like you’re living in London’s West End or Las Vegas. The main theatre is usually the centrepiece, staging glittering shows with singers, dancers and even acrobats. Many ships have a polished wood dancefloor so you can show off your Strictly moves as a live band performs. Some of the best musical entertainment comes in the lounges or the atrium, where a string quartet or jazz trio may perform. Apart from the music there may be a giant outdoor cinema screen, a casino, quizzes and – if you must – bingo, while comedians and magicians are always popular acts. Top tip: Check your daily programme for pop-up performances such as operatic singers. 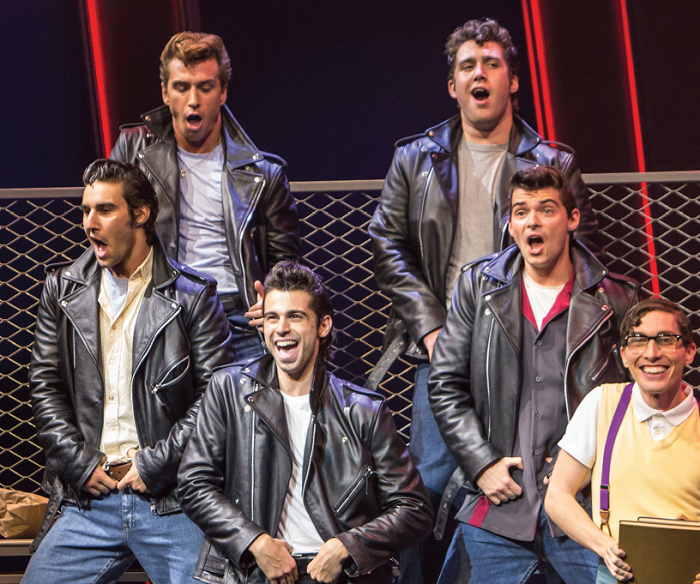 ROYAL CARIBBEAN (0844 493 4005; royalcaribbean.co.uk) regularly hosts smash-hit stage shows such as Cats, Mamma Mia!, Grease, We Will Rock You and Saturday Night Fever. HOLLAND AMERICA (0843 374 2300; hollandamerica.com) has a World Stage on Koningsdam that boasts a wraparound LED screen showing constantly changing images. Departs June 29, 2017. Although flying gets you to the heart of your chosen destination very quickly, there is much to be said for departing from a UK port. There’s no lumping of luggage through an airport and, if you are parking close to the ship, you can bring the kitchen sink with you. A wide choice of destinations can be reached from the UK, including the Baltic, Norway, Mediterranean, Canaries and – with extra time – the Caribbean. Southampton, with four terminals, is the key port, while Dover, Harwich and Tilbury are alternatives in the south and east. Newcastle, Liverpool, Bristol, Portsmouth, Falmouth and Edinburgh are other embarkation points. Top tip: Even though you can take as much luggage as you like, remember that storage space in your cabin may be limited. FRED. OLSEN (0845 314 3778; fredolsencruises.com) has an eight-night Norway cruise from Liverpool on July 13, 2017. From £1,099pp. CRUISE & MARITIME (0844 998 3799; cruiseandmaritime.com) has a 15-night Azores & Madeira cruise from Bristol on April 4. From £1,139pp. For single travellers, safety and companionship are usually high on the list of priorities. Cruises are ideal, offering a secure environment and the opportunity to join in as many or as few activities as you like. There will almost always be fellow singles on board and larger cruise ships sometimes arrange get-togethers or other special events. River cruising is especially sociable because of the smaller numbers on board. The drawback for solo travellers has always been the extra cost of sole occupancy, but more cruise lines are now equipping ships with single cabins, while others often have special promotions. Top tip: Sit on a larger table at mealtimes – your fellow diners will also be seeking company. £2,089pp for a seven-night Rhine cruise. CUNARD (0843 374 2224; cunard.co.uk) now has staterooms especially for single guests on all three of its ships. Many of today’s larger ships resemble theme parks, with a plethora of exciting features and activities – ziplines, climbing walls, swinging pods, skydiving simulators, bumper cars, surfing schools, circus and DJ schools and much more. And that’s without the various pools with their waterslides. 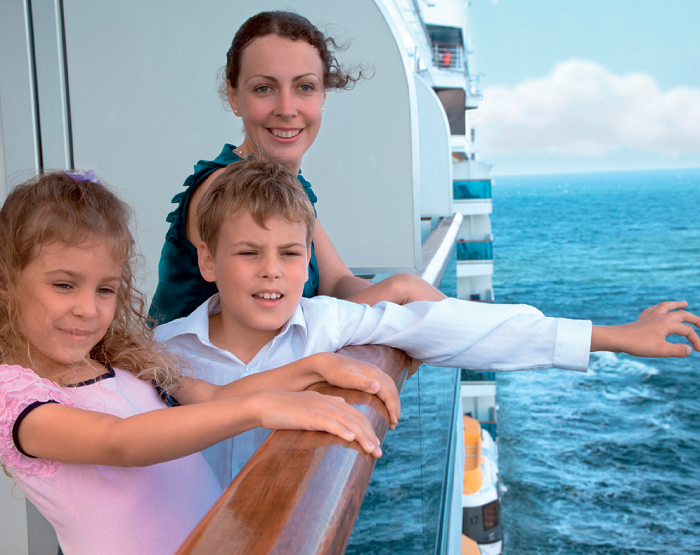 The ships have age-specific kids’ clubs so parents can leave their offspring to have fun while they try the spa, attend a lecture or linger over a peaceful lunch. For younger children, consider a ship with characters from favourite films. Families can have time together for deck games, sports such as basketball and evening stage shows. Top tip: Do take your children on some “adult” shore excursions – they will never know they’re being educated! CARNIVAL (0843 374 2272; carnival.co.uk) has the Skyride on Carnival Vista – a sort of suspended bicycle that you pedal around above deck. DISNEY CRUISE (0800 169 0742; disneyholidays.co.uk) includes fireworks as part of its Pirates Of The Caribbean-themed cruise. Getting married at sea, with the captain pronouncing you man and wife, is very special. Several cruise lines offer packages similar to those you’d find at a land venue, with a wedding planner looking after all the details – but here, your honeymoon begins without you even needing to re-pack! If you prefer to get hitched in a more conventional location, cruise ships still make excellent honeymoon choices. Most lines that offer marriages will also conduct renewals of vows, and a cruise is a great way to celebrate a landmark anniversary. The Caribbean and Venice are popular destinations among those with romantic notions. Top tip: It’s worth letting your agent or cruise line know what you are celebrating, because you may get a treat! PRINCESS (0843 374 4444; princess.com) offers packages for engagements, honeymoons and anniversaries, plus treats such as champagne and spa treatments. P&O CRUISES (0843 374 0111; pocruises.com) offers a full wedding package including the ceremony, function suite, wedding coordinator, flowers and photographic services. Many cruise lines today offer accommodation and facilities that are rated four or five-star, with several claiming a dazzling sixth star. There’s no doubt that luxury is generally in abundance, with millions spent to add genteel elegance. Some lines take the deluxe element to the highest level with spectacular public rooms, penthouse suites and seriously indulgent spas. The latter can be a deal-breaker for demanding guests, so expect to find thermal suites and ice rooms as well as exotic therapies. For many cruisers, luxury means a more intimate ship with spacious balcony staterooms, an all-inclusive package and, frequently, butler service. Top tip: If your ship has a concierge service, use it; the staff can be a mine of useful port information. SEABOURN (0843 373 2000; seabourn.co.uk) has a signature Caviar in the Surf event, where crew stand in the sea to serve champagne and caviar to guests on the beach from a surfboard. REGENT SEVEN SEAS CRUISES (02380 682 280; rssc.com) has fitted its new Explorer with 158 crystal chandeliers, almost an acre of marble and a bed worth about £120,000. Venturing to distant destinations under your own steam takes a lot of planning, and you will probably end up stressed by living out of a suitcase. Cruising is the answer. Smaller ships bring the usual benefit of taking your hotel and restaurant along as you travel, but with the great advantage that they can call at ports that are off-limits to larger vessels. It’s not just the wildest places on Earth such as Antarctica to which such voyages can take you; they also sail on imaginative itineraries in the Mediterranean and the British Isles, while river ships travel deep into the most mysterious parts of Asia. Top tip: Pack plenty of layers. Even in warmer climes, remote islands and coasts can be windy. NOBLE CALEDONIA (020 7752 0000; noble-caledonia.co.uk) has an 11-night Britain & Ireland Odyssey from £3,595pp excluding rail/air. Departs Aug 20, 2017. 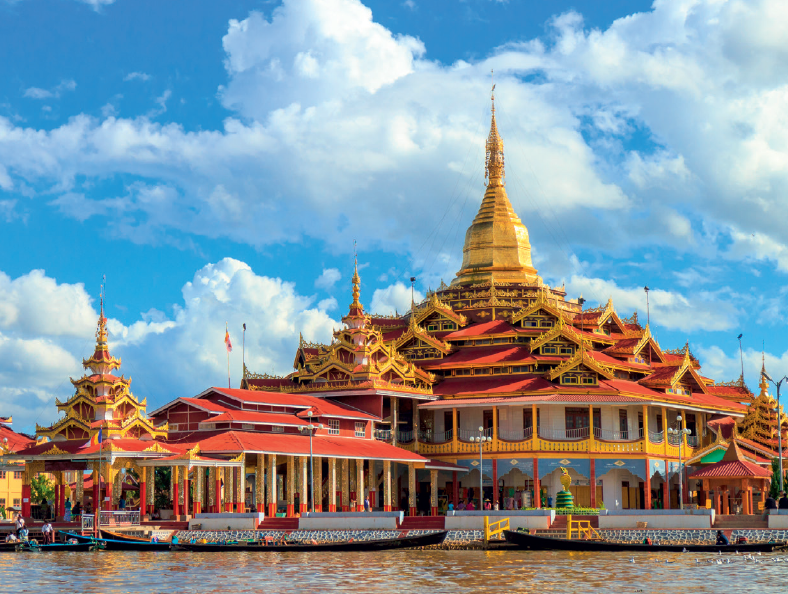 AVALON (0345 025 2871; avaloncrises.co.uk) has a 15-night Golden Myanmar (Burma) river cruise from £5,531pp inc flights. Departures January to Dec 2017.